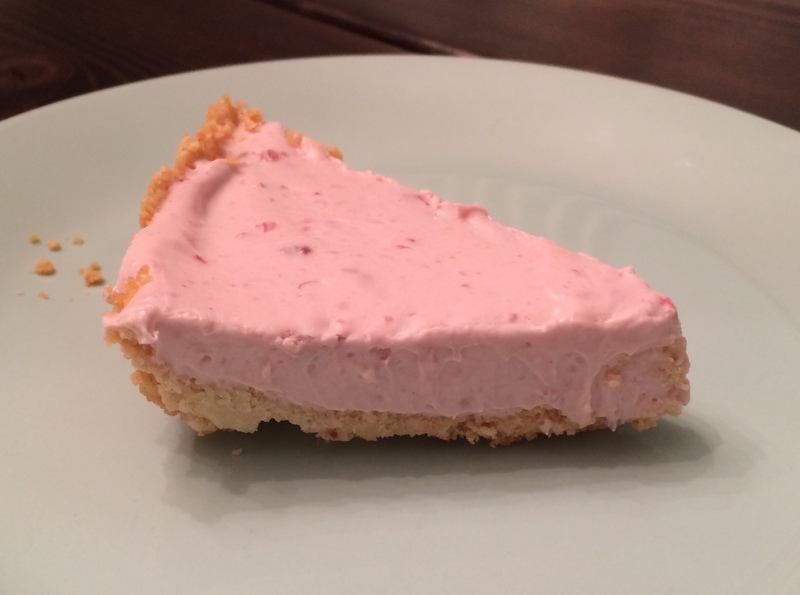 Raspberry Cheesecake – Keto / Low-carb and super easy! Happy New Year, keto friends! I trust that 2015 has been good to all of you so far. I know that the holidays can be rough as we’re all faced with the temptation of cookies, candies, and other hard-to-resist treats. Those temptations can be hard to avoid when it seems like all of your friends, family, and coworkers are indulging around you. So if you happened to stay strong and keto on through the holidays, then good for you! And if not? Well, let’s just get back on track and look forward with renewed focus. Today, I thought I’d share with you a very simple dessert recipe. 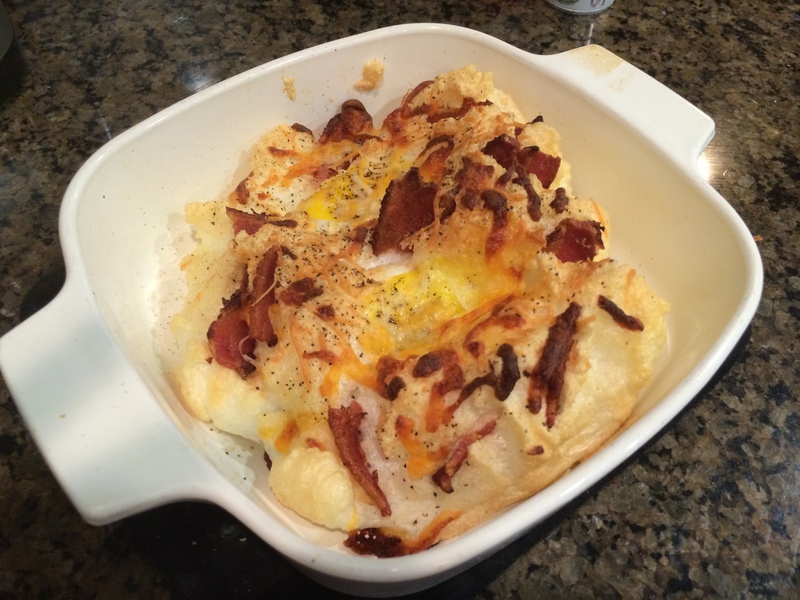 A recipe that is nearly impossible to mess up. Something quick and easy but very tasty: raspberry cheesecake! There are plenty of ways to make a cheesecake, and let me preface this post with some breaking news: I am not a five-star chef. Shocking, I know. If there’s an easy way to cook something without losing any of the charm or appeal of the dish, I’ll go with the easy way. That’s what we’re doing here today. Step 2: In a large mixing bowl, combine 1 cup of almond flour, 2 tbsp of melted butter, and 1 & 1/2 tbsp Splenda (or other sweetener). 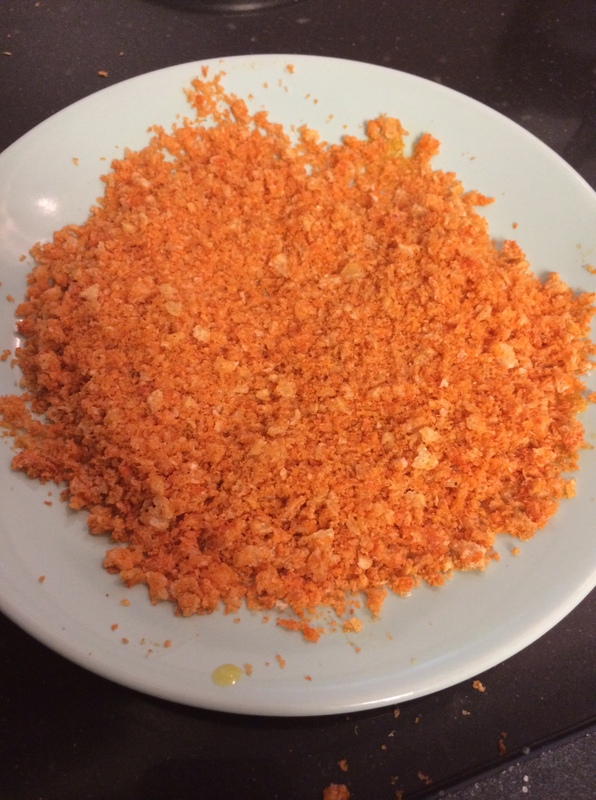 Using a standing or hand mixer, mix ingredients together until they are crumbly. Step 2: Spray (or butter) a 6 or 8 inch baking dish well. Then, add the mixed crust ingredients to the dish and press them down into the dish with your hand. You want to create a firm crust base. Be sure to let the crust ride up onto the sides of the dish to create a pie-like crust. Step 3: Place the crust into the oven and bake at 400F for 10-12 minutes or until the crust becomes golden brown. Be careful not to overcook as you don’t want the almonds to burn. When finished, remove the crust from the oven and set it to the side to cool completely. Step 4: In a separate (and clean!) mixing bowl, combine 8 oz of softened cream cheese, 2 tbsp of sugar-free red raspberry preserves, and 1 tbsp of Splenda. Mix until the ingredients are completely combined. The filling should be smooth and the color will be pink from the preserves. At this point, taste a small sample of the filling. If you find it sweet enough, you’re good to go. Otherwise, consider adding another tbsp of preserves or sweetener until you are satisfied. It’s always easier to add more sweetener than it is to take it away. Step 5: Pour the filling onto your cooled crust. Using a rubber spatula, spread the filling around evenly on top of the crust. Once finished, cover and place the cheesecake in your fridge for at least 2-3 hours for the filling to stiffen up again. Note: This recipe serves 4-6 depending on how you slice the pieces. If you slice it 6 ways, each serving comes out to 276 calories, 25g fat, 4g carbs, and 6g protein! 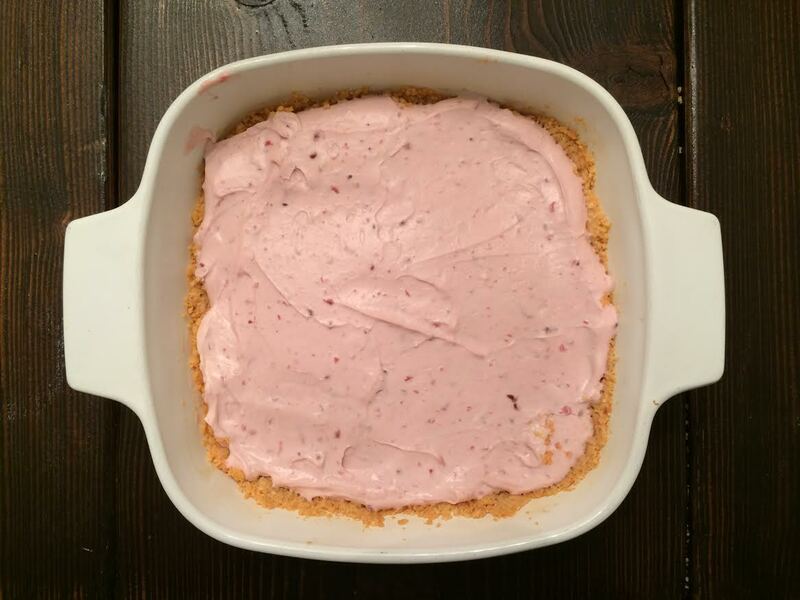 Author completeketoPosted on January 12, 2015 April 18, 2018 Categories recipesLeave a comment on Raspberry Cheesecake – Keto / Low-carb and super easy! 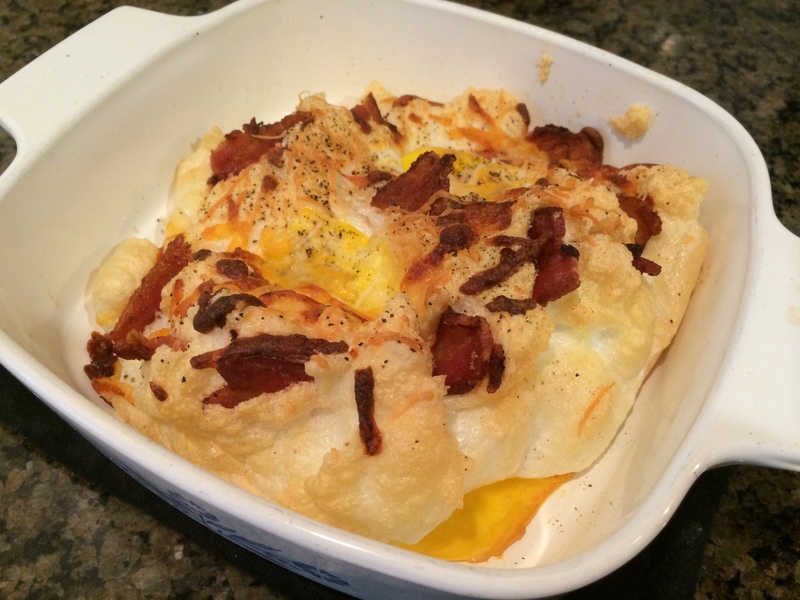 One of my favorite keto discoveries has been cauliflower mash. I’m a starch fan true and true, but finding a suitable cauliflower mash recipe was great because I could finally give in to my mashed potato cravings without actually eating mashed potatoes. And while I typically pair my cauliflower mash with steak or chicken, I decided to get a little crazy and serve it with spicy shrimp this time around. Absolute success. I can’t recommend it enough. Of all the mash recipes I’ve tried, this one comes the closest to looking, feeling, and tasting like mashed potatoes. Obviously, you’re still going to taste the cauliflower – but it really feels like eating mashed potatoes. Step 1: Place a sauce pan over medium heat and melt the 2 tbsp of butter. Step 2: Once the butter is melted, toss the entire 16-oz bag of raw shrimp into the pan. Make sure that the shrimp have been peeled and thawed. Step 3: Sprinkle the shrimp with small dashes of salt and pepper. Continue to cook over medium heat, stirring occasionally, until the shrimp becomes pink, about 4-6 minutes. Step 4: Squirt your desired amount of Sriracha sauce directly into the pan and over the shrimp. Start with a small amount, knowing that you can increase the amount for additional spice if needed. I went with about 2 tbsp of sauce. Step 5: Toss and stir the shrimp and sauce for another 1-2 minutes before removing the pan from the heat. 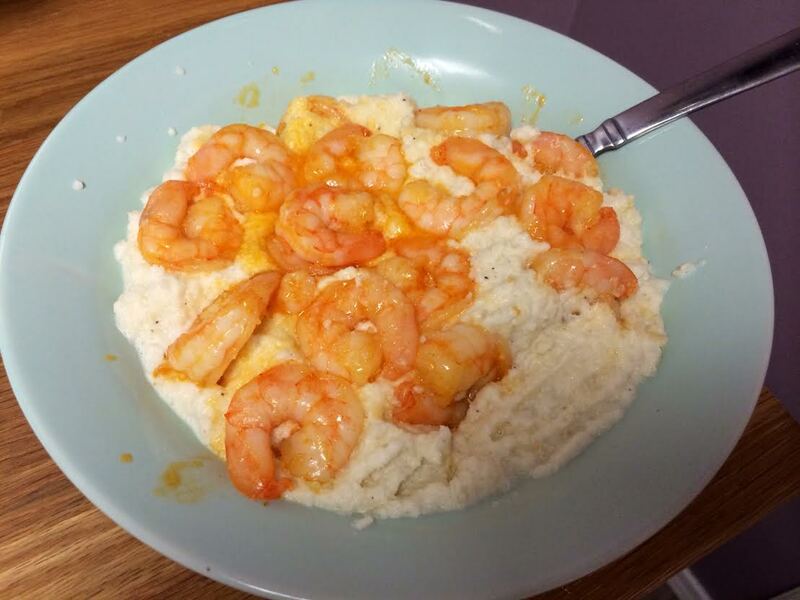 When you are finished with the cauliflower mash, simply scoop the mash into a bowl and top with your spicy shrimp. Devour, and enjoy. Howdy readers! Long time no see. First off, I’d like to apologize for having not made a new post in over a month. My wife recently gave birth to our first child – a boy – born on July 2nd. As I’m sure you can understand, all of my attention and time has been devoted to learning how to take care of the little guy since he arrived. It’s been a wild ride so far, and we’re only just getting started! 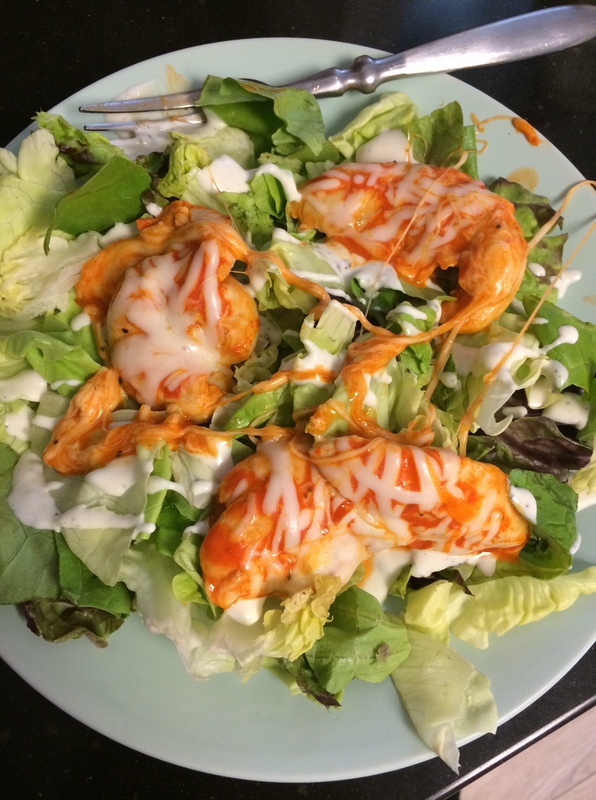 Things are starting to calm down now though, and because of that I can finally return to Complete Keto to share more recipes with you. We’re in the middle of summer right now (the temperature is a hot and humid 90 degrees in Minneapolis today), so I thought I would share one of my favorite summer recipes. When I think of summer food, I think of grilling. 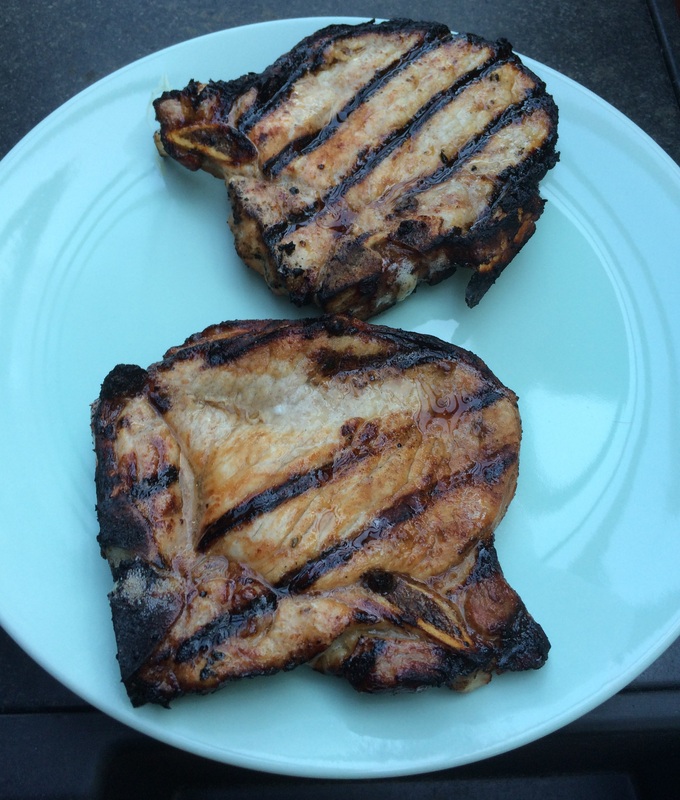 A few days ago, I decided to forgo steak and chicken and opted to grill up some pork chops instead. 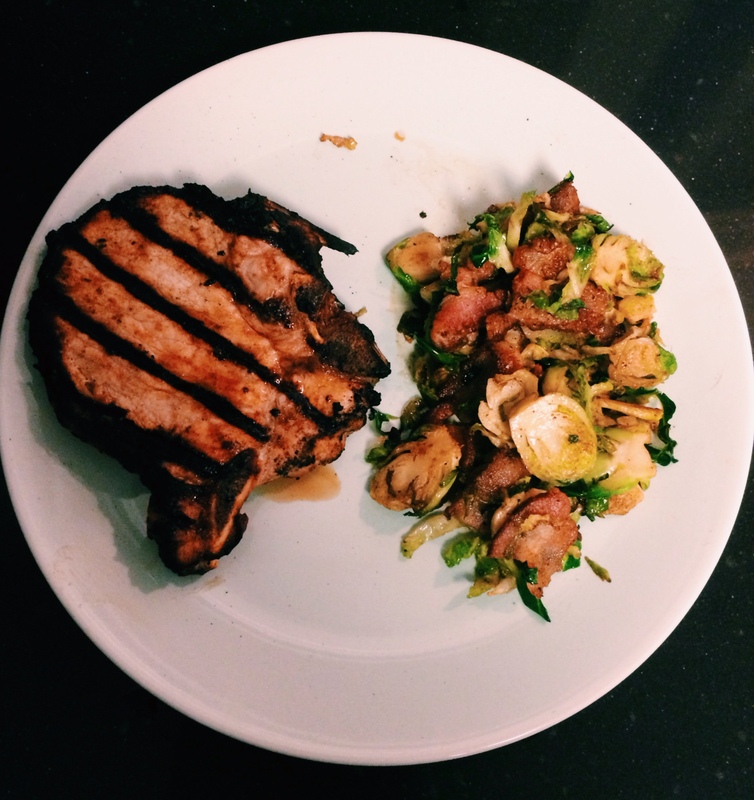 Pork chops are often cheaper than steak and can also offer a great fat content as well. As a note, I always prefer to grill bone-in pork chops. I find great joy in channeling my inner-caveman and chewing meat right off of the bone. For a side dish, I went with one my favorite vegetables – brussels sprouts. But not just plain old boring brussels sprouts. 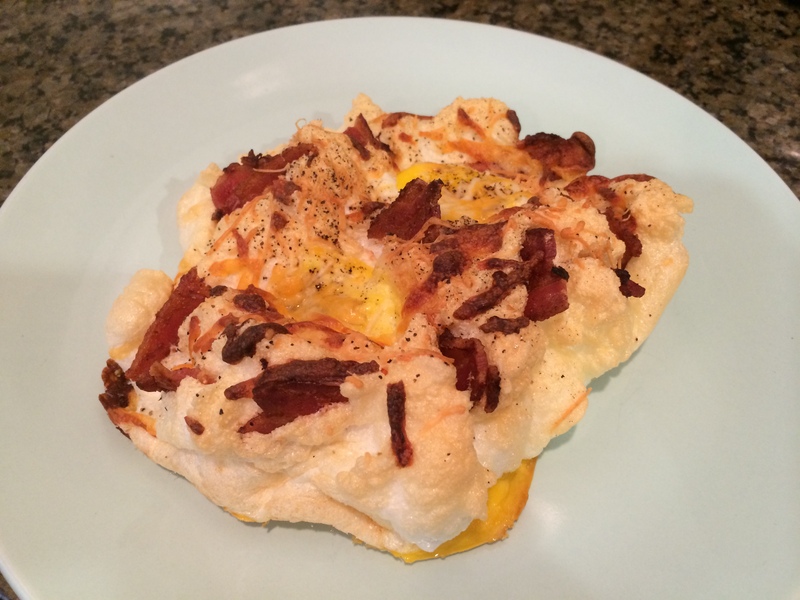 After all, this is Keto food that we’re talking about here. No, I went with bacon brussels sprouts. I mean, what goes better with pork chops than bacon? Let us waste no more time. Here’s the recipe. Step 1: Lay the pork chops down on a large plate and dash a couple of tablespoons of worcestershire sauce on them. Be sure to turn the chops over and dash the sauce on both sides. Let the sauce rest on the meat for 10-15 minutes. Then, sprinkle the pork chops with your desired amount of salt and pepper. Step 2: Heat up your grill. Aim for medium/high heat. I heated to about 350 degrees F on my gas grill. Look at those beautiful grill marks! Step 4: Set the pork chops to the side for at least 5 minutes to let the juices redistribute while the meat cools. Step 1: Heat a large pan over medium heat. Step 2: Slice the bacon strips into one-inch “bite size” pieces. Toss the bacon strips into the pan. Step 3: Cook the bacon until it is lightly browned, about 3-4 minutes. 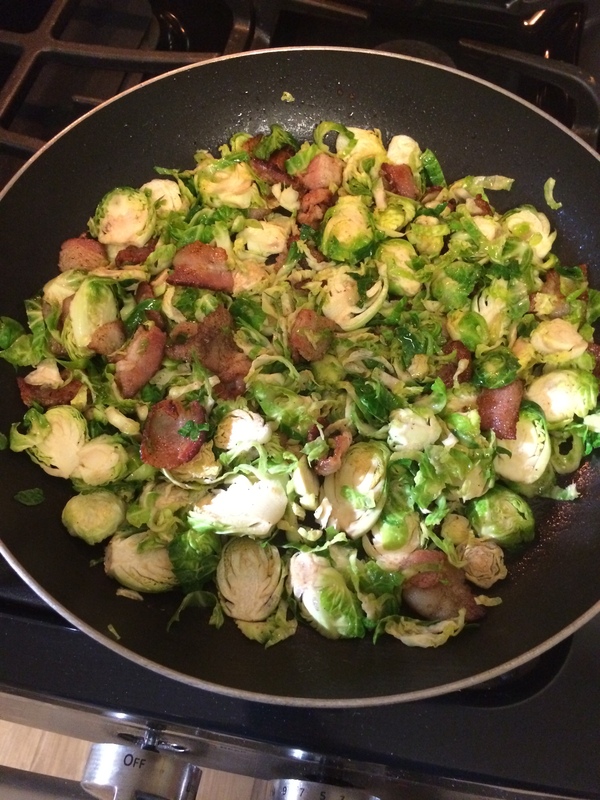 Step 5: Cook the bacon and brussels sprouts together for another 3-4 minutes or until the bacon in the pan is crispy. Step 6 (OPTIONAL): Squeeze a light amount of lemon juice over the pan. Sprinkle pepper if desired. The bacon will naturally add saltiness to the dish, but feel free to sprinkle additional salt if desired. Step 1: Mince 1 onion and 2 garlic gloves. Then, heat 2 tbsp butter in a large pot over medium heat. As the butter melts, add the minced onion and garlic. Cook for a few minutes until the onions are softened. 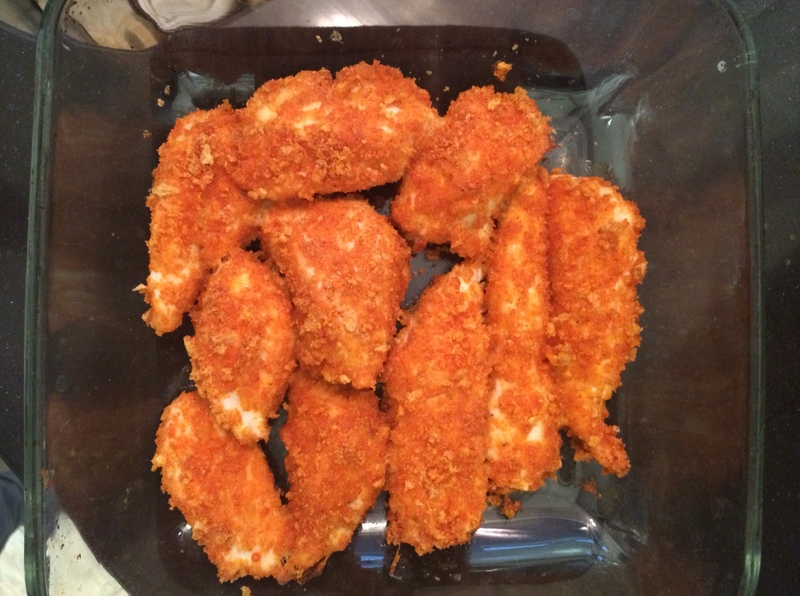 Step 2: Cut 2 chicken breasts into small, 1-inch size pieces. Add the chicken to the pot along with 1 tbsp of olive oil. Sprinkle a desired amount of salt and pepper into the pot. Let the chicken cook until it is lightly browned. Step 3: Add the 8-oz can of tomato sauce and let the pot cook for a few minutes. Step 4: As the sauce begins to boil, add the can of diced tomatoes & green chilies and both cans of black soy beans. 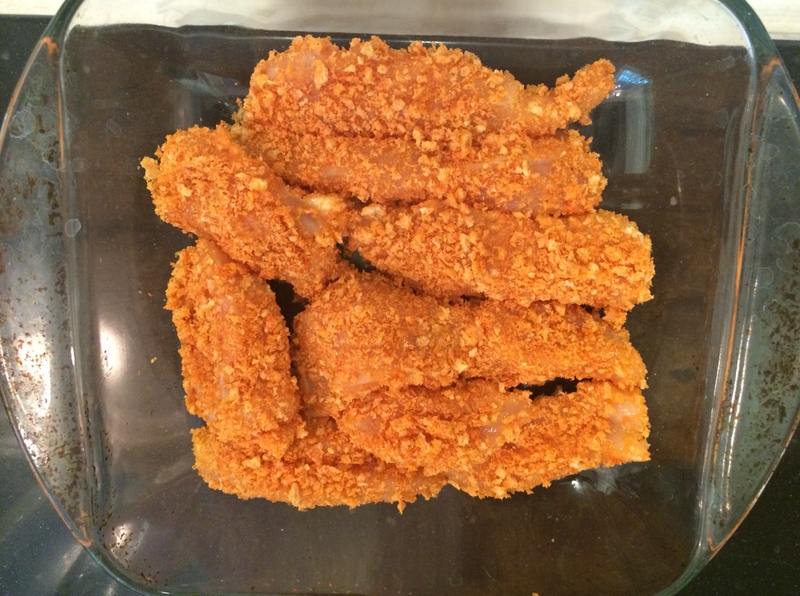 Step 5: Add desired amounts of ground red cayenne pepper, chili powder, and salt. Stir all ingredients to combine. Cover the pot and let it cook for at least 45 minutes, but preferably up to 1 hour. Step 6: Before serving, taste-test the chili and add more spices if you desire. 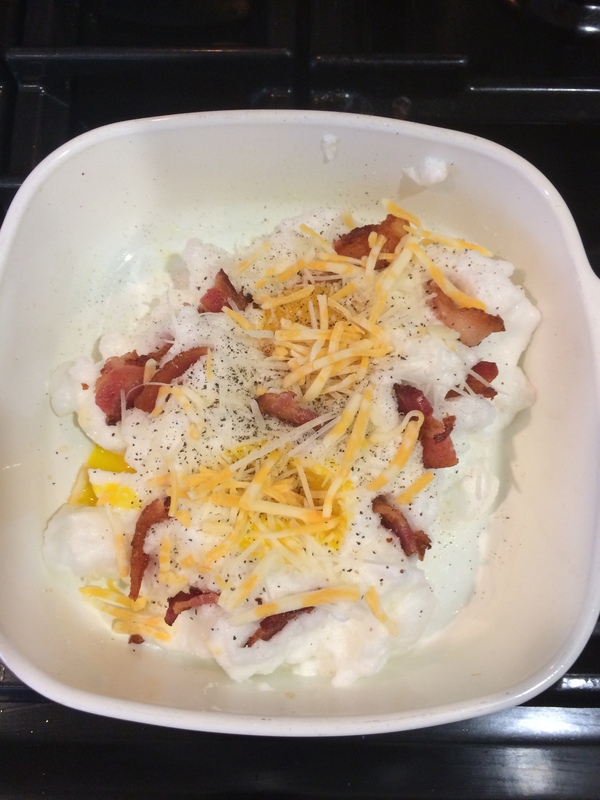 Step 7: Serve with a sprinkle of shredded cheese and a scoop of sour cream. Looking for even more flavor? Add cilantro and a squeeze of lime juice. 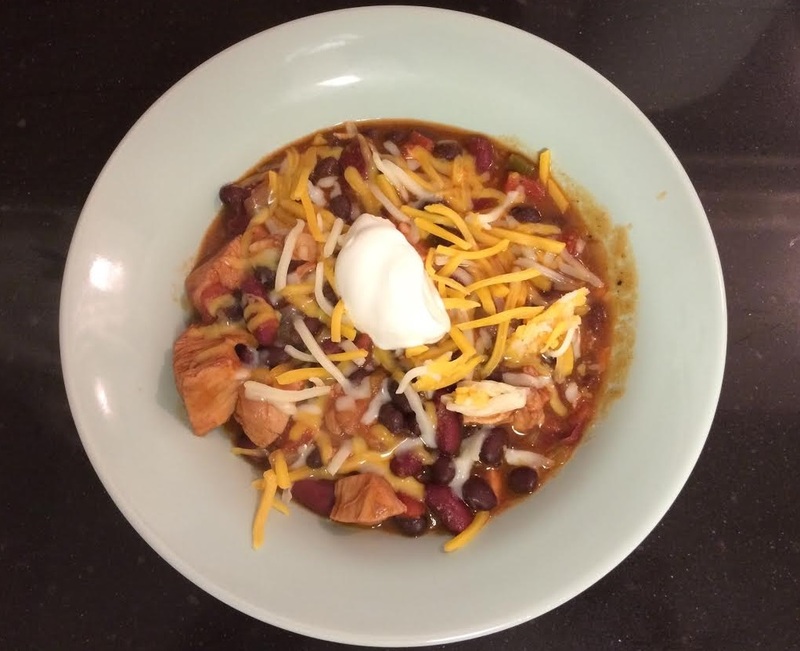 *Note: This chili should be relatively thick. If you prefer yours to be less-thick, consider adding 3/4 cup water or chicken broth when adding the can of tomato sauce.